This can be very helpful in tracking down a rogue app that's accessing the camera without your knowledge or in figuring out why a certain app is causing an unusual amount of battery drain. 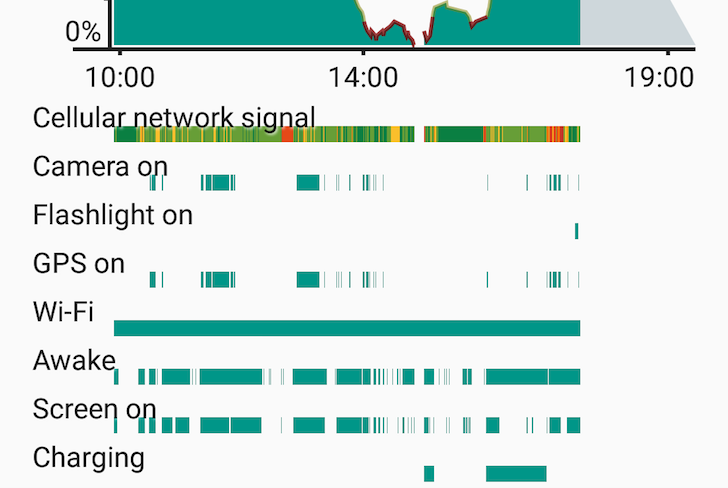 For the record, those 20-minute-long bars in camera and GPS usage are the reason why Snapchat is such a battery hog. Even if you're just browsing snaps and stories, Snapchat will still be keeping your camera turned on and your GPS position locked. Pro tip: If you mostly browse Snapchat passively and don't often send out snaps yourself, you can safely disable Snapchat's permissions for Camera, Location, and Microphone, and prevent a large amount of battery drain. As we also pointed out in a previous feature spotlight, Marshmallow now provides a Flashlight API that allows apps to toggle the flashlight on your device without needing to access your camera too. In addition to being great for privacy concerns, this should also reduce battery consumption when you only need to use the flashlight, since the camera doesn't need to be active. 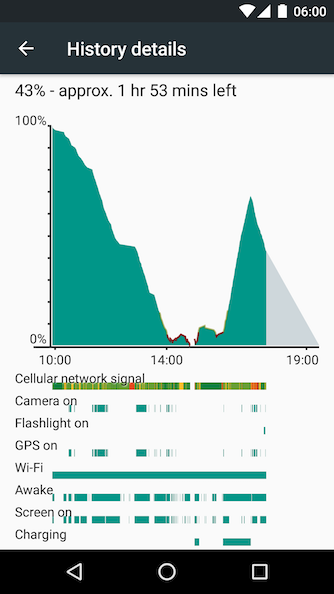 Because of this, the battery graph will also display flashlight usage in addition to camera usage, which is a nice touch. It's good to see Marshmallow address many of the pain points in previous versions of Android, allowing users to have more control over battery usage and privacy.